When designing a home don’t forget to consider ways that you can personalise or add character to your new home. If you want to create a home with lovely character and charm you will need to choose a custom design home builder who will allow you to incorporate different items in your home design. A custom designed home builder will allow you the flexibility to select products and features that are important to you. Choosing the right builder is particularly important when it comes to country style homes or knock down and rebuild projects in well established older suburbs. Features such as custom designed lead light windows, custom made front doors, marble sinks, antique re-purposed items can all look amazing in the right home. Take a look at one of our recently completed new build projects below, featuring traditional lead light windows and timber flooring. If you want to add some extra character to a modern contemporary style home you could consider using recycled hardwood timber for decking, or perhaps choose a unique custom made front door to personalise your home. For a more traditional look you could consider staining timber architraves and skirting throughout your home rather than painting. Timber windows are another way to introduce a different style – they can be stained or painted depending on the look you are after. Another way to add interest to your outdoor spaces is to use feature privacy screening or you could include an outdoor fan to suit the style of your home in the outdoor living area. Carefully chosen lighting can also make a big impact on both the inside and outside of the home. Our friendly team can help you navigate through your new home selections to help you achieve your dream home. Visit www.freedomhomes.com.au or you can call us on 02 4964 8400. 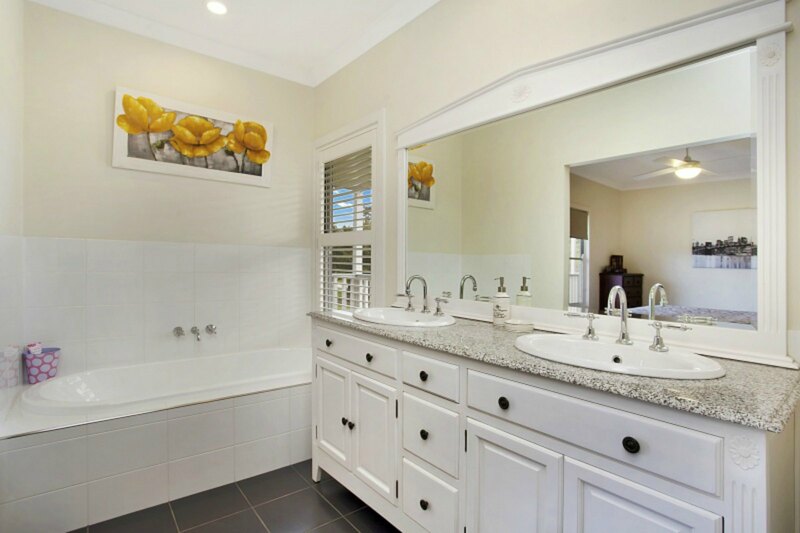 Freedom Homes build custom designed homes throughout Newcastle, Lake Macquarie & the Hunter Valley including areas such as Maitland, Cessnock, Port Stephens, Dungog & Singleton.